I think my dad is secretly aspiring to become a regular nothing-in-the-house contributor. I suppose that wouldn't be the worst thing... 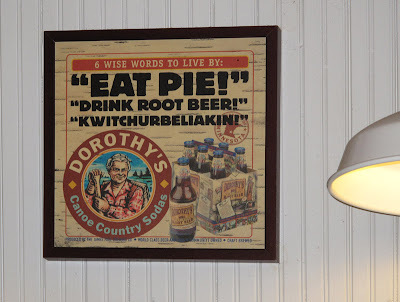 Here's his post from his visit to Betty's Pies after a canoe trip in the Minnesota Boundary Waters. We exited the Boundary Waters Canoe Area at 4:00pm after a long hard day of paddling and portaging in the cold and rain. After loading our gear and canoes we took a welcome hot shower (our first in 7 days) and headed south in the van toward Duluth and then home to Indiana. About 2 hours south of Grand Marais, in the town of Two Harbors, Minnesota, we spotted a lighted sign calling out to us like a lighthouse to a ship lost at sea. 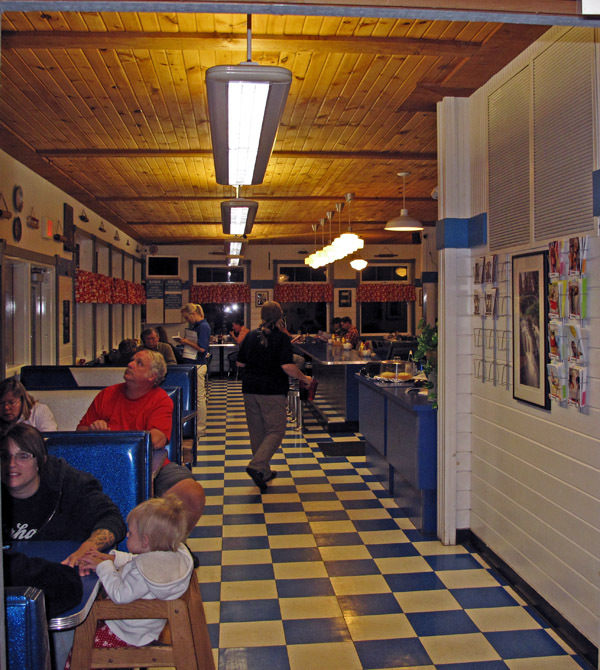 It was Betty's Pies, an institution in Two Harbors for over 50 years. 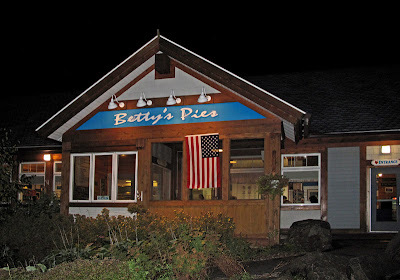 I'd passed by Betty's every one of the 20 or so times I'd gone to the Boundary Waters, but this time I was compelled to stop. 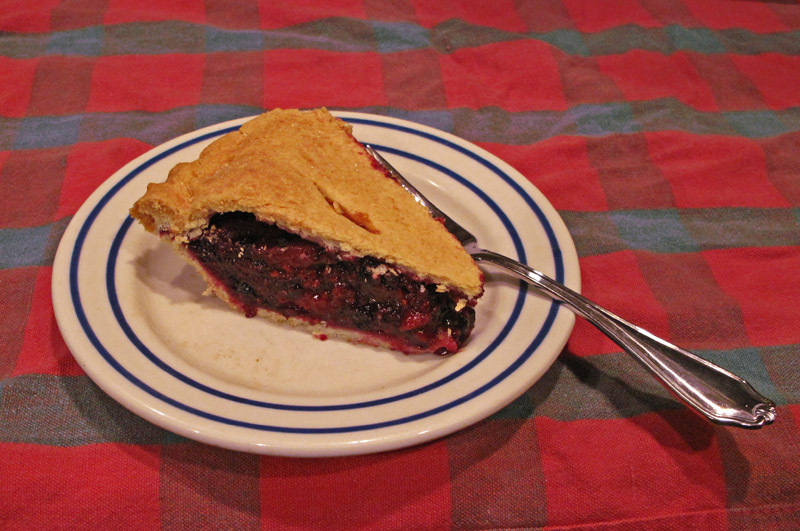 The thought of homemade pie after our difficult canoe trip was just too enticing. The staff was very friendly as they showed me the list of pies of the day. 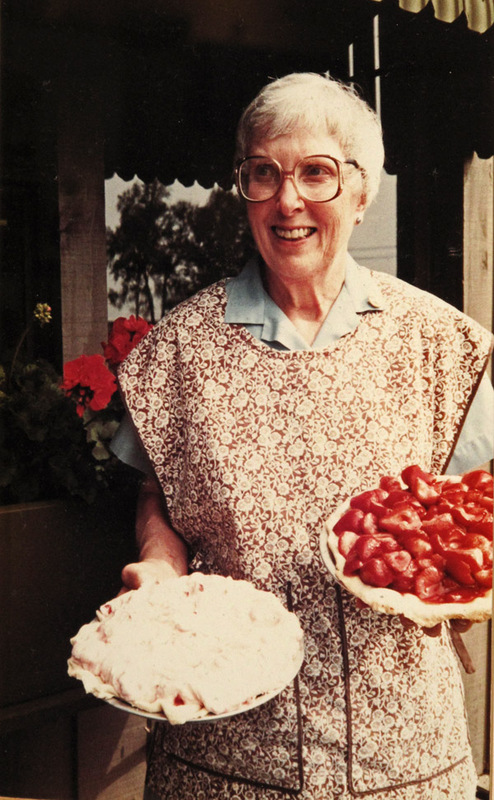 The person behind the counter also told me that they had several other pies not listed that had just come out of the oven and were too warm to cut but I could purchase a whole pie if I wanted. Kwitchurbeliakin! I believe that's a German word? I decided upon the Bumbleberry Pie, the name they gave to their combination of blueberry, strawberry, blackberry and raspberry. 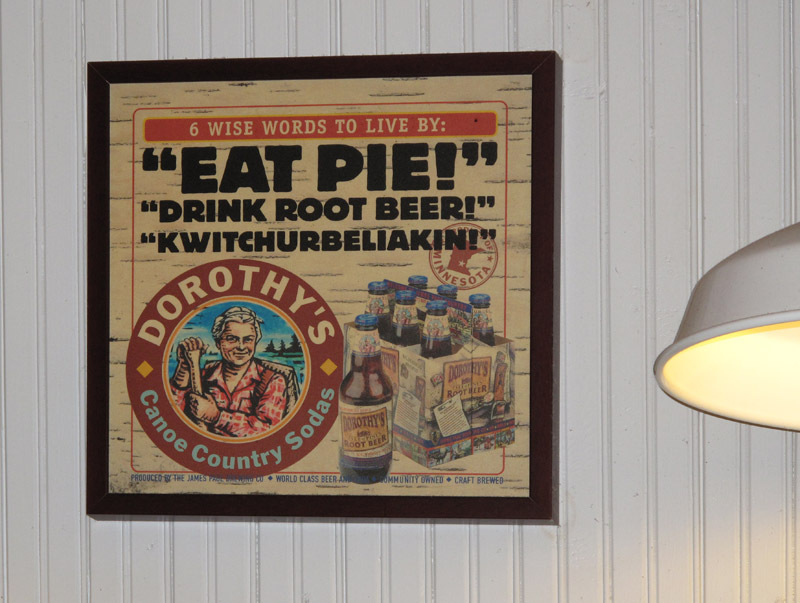 The pie was delicious! 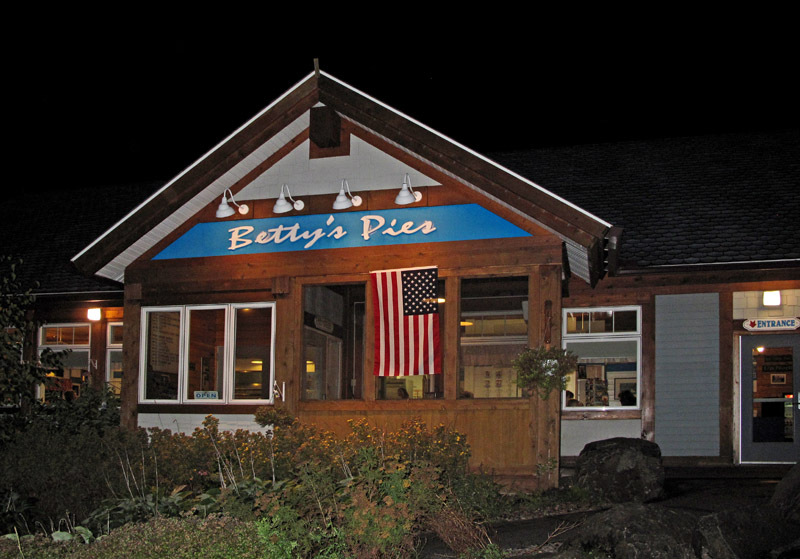 I think Betty's will now be a requisite stop after my next Boundary Waters trip. I must say, I am curious about two things...1) Betty's pasties, and 2) Betty's crust, but I guess we'll have to wait for another dad post for that. It is no secret. I do aspire to be a regular contributor to Nothing in the House. 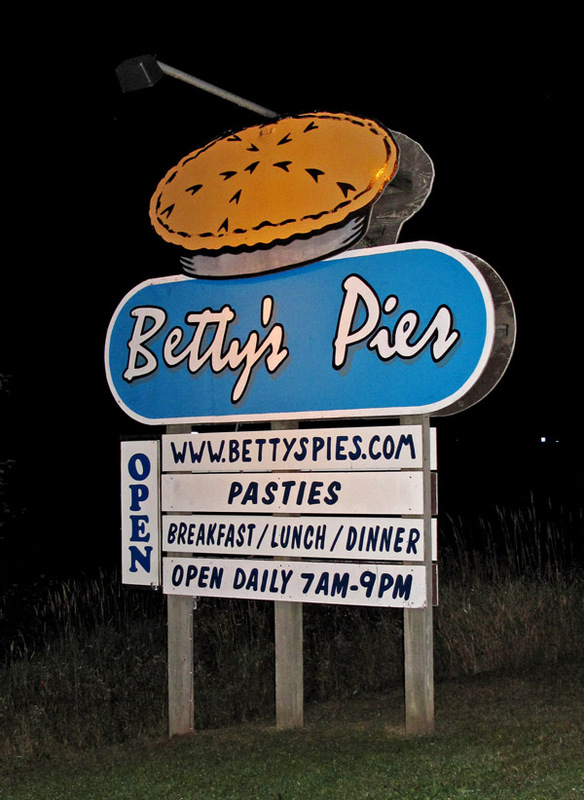 About Betty's pasties: I asked her about them and slapped me and said it was none of my damn business. About Betty's crust: It was good for a store bought pie but I prefer the Nothing in the House buttercrust recipe.